The early season on Canada goose — this year it’s open all of September — gives hunters a shot at what are called resident geese. 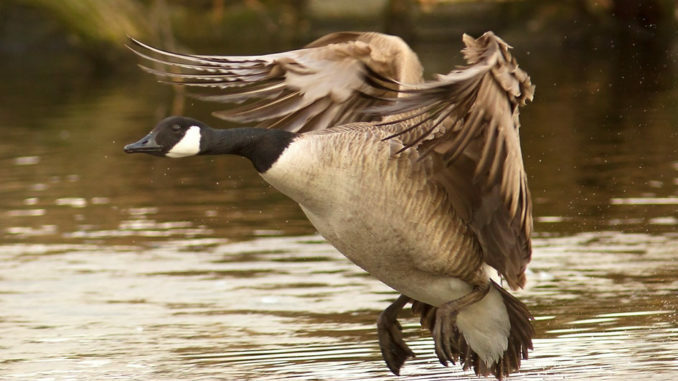 The early Canada season has expanded from 15 to 30 days, as frameworks allow the entire month of September to be used to hunt what are commonly referred to as resident geese. “I don’t know why more people don’t hunt them in September,” said Josh Stewart of Jackson, who makes use of the opportunity to shoot Canadas on the upper river area of Barnett Reservoir. 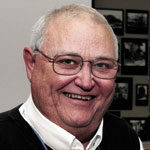 “We’ve got a bountiful supply of Canada geese on Barnett and many other lakes — too many geese, a lot of people say. They are not as wily as migratory geese or ducks, either. 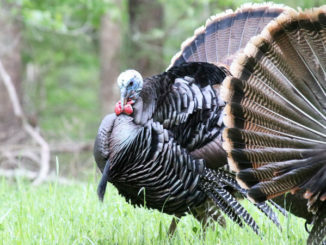 Stewart said he and several friends hunt just about every weekend day available during the season, plus the Labor Day holiday, and they combine fishing and hunting. “We get in the backwaters and fish for bass that are moving up on the migrating shad and work on them while watching for geese,” he said. “By lunch, we’ve usually gotten a limit of one or the other, or both. If we’ve got a few boats of us, we make it a contest with friendly wagers. It’s fun. This year, Vaughn said, he and his friends will pay more attention to the shoreline, too. “I see where they have expanded gallinule and rail seasons,” he said. “It’s also open the entire month, and the reservoir’s backwaters are full of them. I’ve seen them for years and always wondered how they would taste, so last year I killed a couple of gallinules to try them. Turns out they are good. They have a little-bit wilder flavor than duck, but the meat is lighter in color. Canada geese: Sept. 1-30; daily limit of 5, possession limit of 15. Moorhens and gallinules: Sept 1-30; daily limit 15 singly or in aggregate, possession limit 45. Rails: Sept. 1-Sept 30; limits on clapper and king rails are 15 singly or in aggregate, and 45 in possession, and limits on sora and Virginia rails are 15 singly or in aggregate, and 45 in possession.